In this post what I am discussing, what are the major and essential settings for new WordPress installation (basic setting up WordPress site) before publishing your awesome content? This is very important setup for every new blog. To do this, you must spend 5 to 10 minutes for these basic setting up WordPress site. WordPress is the most popular Content Management System (CMS) for every blogger. Because it is very strong in Search engine optimization part and being an open source CMS software, which is powered by PHP and MySQL. 35% of the blogs are running with Self-hosted WordPress CMS. Recently I discussed WordPress installation methods in my old posts. WordPress installation will complete within 30 minutes. Now your Brand new blog is ready. In the self-hosted WordPress site settings can optimize very fast and you need to have few basic plugins to enhance their functionality and visibility on the web. What are the Essential Settings after new WordPress Installation? Major settings of WordPress site after the first installation is very important. For this changes, go through each link in ‘Dashboard’ mainly to blog settings – Permalink structure, General settings, writing, reading, pinging services and few other blog settings. Sample Comment: This is the default sample comment comes with To remove this comment, click the “Comments” link from the Dashboard > Left column. Hover the comment body and click on “Trash”. Sample Post: This is also default post comes with WordPress “Hello World” post body then click on “Trash”. This will remove the post. Sample Page: This is also default page comes with WordPress script along with post and comment. To remove this sample page, go Pages > All Pages. To remove this, hover the page titled “Sample Page” and click “Trash”. Hello Dolly Plugin: This is dummy plugin installed with WordPress script. To remove this, Go to Plugins > Installed Plugins then find out the “Hello Dolly”. Adjusting these WordPress General Settings are very important. Most of the newbie is not configuring properly. You shouldn’t make the same mistake. You can do the changes on the one page. To do this, go to “Setting > General”. Site title: This is WordPress site Title. There are different options available to adjust the site title, tagline and some other important options to do your blog are explainable. In the “Site Title” field, give the blog unique and short title. Tagline: You can use or explain about your blog with smart words in “Tagline”. But do not use the long tagline. WordPress Address (URL): Check your blog URL correctly either your URL with WWW or without WWW. There is no much importance in this by adding WWW additionally. Site Address (URL): Enter the address here if you want your site homepage to be different from your WordPress installation directory. Email Address: Add your Professional Email address here. (How to create professional email ID). New User Default Role: This is the default role in enabling the newly registered user. My suggestion is to keep this as in “Subscriber”. Time Zone: This is WordPress Timezone Setting. Choose a city in the same time zone as per UTC (Coordinated Universal Time). Week Starts On: It depends on the type of blog and its country. If you choose week starts with Sunday choose it. By default, it is on Saturday. Site Language: By default English (United States) will be selected in site languages. You can change your language here. 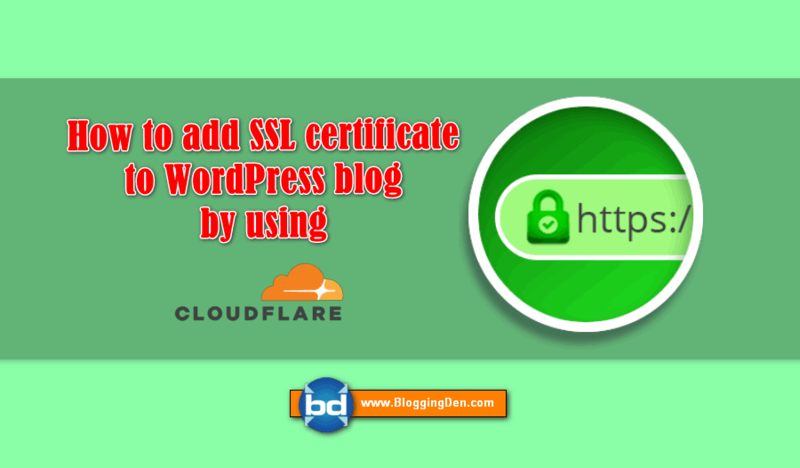 At this stage, we will set up WordPress blog settings related to writing. By default, WordPress adds a category “Uncategorized” which doesn’t look so ideal. Here you can change the default category to any other category. You can go to posts> Categories from the left side panel, and add a new category. Come back, and change the WordPress default category to newly created category. One of the major differences between a static Website and a blog is the ability to ping. By pinging search engine bots, our WordPress blog notifies the search engines about the newly published blog post. You should update your ping list with all major ping services. Add all the ping services URL and click on update button. I also recommend you to use PushPress plugin to ping cloud ping servers. To do this, Settings > Writings, in the page scroll down and you will find Update Services. Now click on the Update Service link and copy the ping list and paste at the below empty box of the Writings page then click on Save Changes. (Or) Copy the below-given ping list into your Writings Page > Update Service box. Here I have compiled a list of Ping services for WordPress, which will help you for more services. An alternative is Feed Shark, which pings over 60 services for free. Permalinks are the addresses for the posts and pages on your WordPress site. The default permalink structure is not perfect for regular bloggers. This is not suitable for SEO. It should be easy to remember, so you must change this. In the Settings > Permalinks, you can choose one of the “Common settings” or enter your own in the “Custom structure” field using the structure tags as – /%postname%/. The most recommended permalink structure. What is the Best Permalink Setup in WordPress SEO? How to Setup Permalink in Blogger Blogs? Changing of default admin account is very important. To do these just go for, Users > New user then clicks on New user and fill all details like Username, Email, First name, Last Name, Website and enable the user Role as Administrator. After this changes Click on Add New User. Now login with your newly created User account login details into your WordPress Blog. From WordPress. Now delete default old user details. This is very important security tip. Now, at this WordPress setup page, you can configure many things like what should be your blog homepage. We are using custom home page and not a regular blog page. So, we changed the homepage to the custom static page we designed. For a normal blog, you can let the setting be “Your latest posts” as shown in the screenshot. The given steps are very important WordPress blog settings. This can be done under the reading setting as shown in the image below. Here we configure comment related blog settings on our blog, and also one important setting which happens due to comment pagination. Here are few blog settings which I usually use on my blogs: I’m writing down the blog settings which need being on. This is the page to moderate the comments and its settings. Read each option carefully before choosing as per your blog needs. Now, if you are new to WordPress, I suggest you go to Gravatar.com and create an account and upload your image to your Email address. And here, you can make changes like gravatar rating and default gravatar. Bonus tip: If you are really paranoid about your site loading speed, you might like to disable the Gravatar. Though you can skip setting up this part I usually suggest users make necessary changes to avoid lots of images files. By default, when you upload images in WordPress, it creates images in 3 different sizes. Here you can set sizes as 0 X 0 and keep only one desired size as enabled along with size. This is the default primary setting in Media. The image dimensions will change along with themes, you have to choose in further steps. You can create different categories and tags to your posts. The “Uncategorized” category is the default. If you do not create any categories your posts will be included in the Uncategorized category. By adding categories, the user experience will be improved to browse your blog more quickly. To create a new category, go for Posts > Add new Categories and create as many you want. If you are installing WordPress for the first time, this post will help you to quickly set up a WordPress site. Once done all the settings above, it is time to install themes and Plugins. After getting a Domain name and WordPress hosting, You must install WordPress in your hosting account then adjust few Blog Settings to get full functionality of your blog. The Essential Settings after WordPress Installation for the first time are very important. I have explained in ten essential points on Setting up a WordPress site. You can refer this post, for quick check done these settings. You can also bookmark this post on Delicious, Stumbleupon, and some other bookmarking services for future reference. The article on WordPress general settings and Essential Settings after WordPress Installation (Setting up WordPress site) are very helpful for every WordPress user to check or configure blog in a proper way. We will cover all such topics in coming days, but for now, you might like to subscribe to our Email updates, and if you find this tutorial useful, don’t forget to share it on Facebook and Google plus.